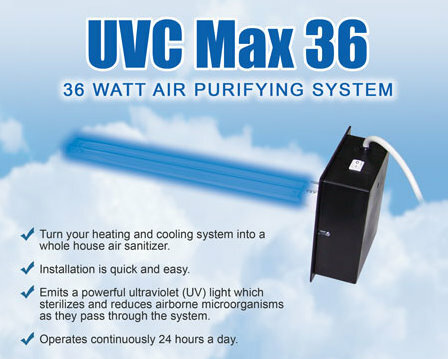 This high efficiency purifier uses a proprietary UV-C (germicidal) lamp to destroy chemical & biological contaminants including chemical odors. It can be used in any kind of building including homes, offices, schools, hospitals, etc. Installs inside ductwork or Furnace/AC unit. Easy installation...no wiring required. 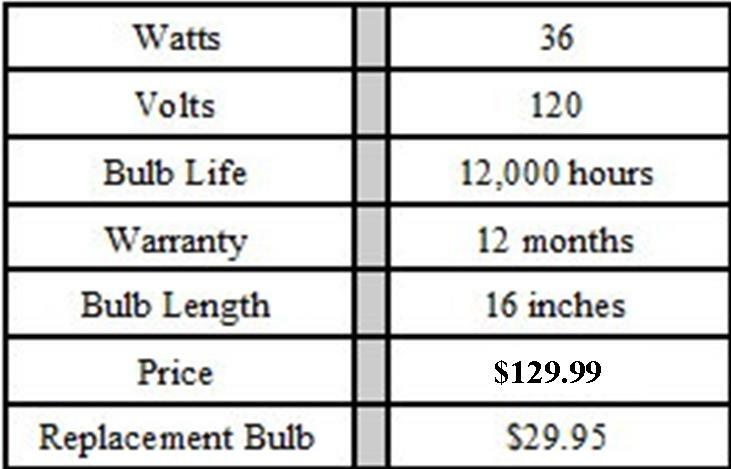 Replacement bulb for the UVC Max36 Air Purifying Light.